The Canadian market and US credit card markets tend to be relatively close in the category of cashback / fixed value points credit cards. The Canadian market and the US market for credit cards are actually relatively similar when it comes to cashback cards and fixed value points cards. In both cases, the best rate of return tends to be very close to 2% for cards that have no category bonuses. For cards that bonus category spending, in Canada, base spending tends to be at 1%, with category spending getting 4% return. In the US, there seem to be more creative approaches to the category spending with most taking a 1% on base spending and 5% returns on category spending. To do the comparison, it is imperative that we understand what kinds of cards we are comparing here. The point here is that a fixed value or cashback card is any card whose best / default redemption is one that has a very specific cash equivalent value. Many cards in the marketplace suggest offering miles or points of some sort. Cashback cards and fixed value points cards offer return in a points or cash currency that has a fixed value and can be redeemed for a cheque or statement credit with relative ease. These types of cards might be marketed as a cashback cards, or “pay for any travel with points” type of cards. I treat fixed value points cards and cashback cards as the same type of cards because in general, fixed value points cards function the same way, except they require a “travel” purchase to redeem the cashback. This tends to be just a way to make it slightly more difficult for a cardmember to get their cash. The Capital One Aspire World Elite cards earns points that can redeemed for a statement credit against a travel purchase. The redemption price comes against a schedule directly related to the price of the flight. The BMO World Elite card allows you to earn points in a travel bank. You can then use those points at a rate of 1 point = 1 cent to redeem for a flight through the BMO Travel centre. The Barclay Arrival card earns points in a travel bank. The cardholder purchases travel as they please. After the statement has been printed, the cardholder can trade points for a statement credit at a rate of 1 point = 1 cent. These are all cashback or fixed points cards. There are a lot of cards in both Canada and the US. I am listing only the top few that I would consider being valuable and worth carrying based on the rate of return and annual fees only. In terms of rewards for fixed points cards, it seems that there is not much variance in the 2 countries’ cards. In general, the standard seems to be very close to 2% return in some type of fixed value. In terms of non-category cards, in the US, it seems that the competition is pushing ever so slightly above 2%, while in Canada, it seems that the standard seems to be just below 2% or is 2% with some restrictions to keep it just below a true 2% cash back card. In the US, there are many more category type cards that give category spend returns in excess of 5% for limited dollars spent in those categories. Many cards give a variety of different categories as bonused, including office supply stores (Chase Ink, Amex Simply Business), grocery and gas (Amex Everyday Preferred), restaurants (Citi Forward) and others. In Canada, the bonuses spend concept has really not gained much traction with the Costco and Scotia’s Gold American Express and Momentum cards really the only ones giving category bonuses of 4% for gas and grocery (Momentum and Gold) and restaurants (4% Scotia Gold and 3% Costco). The other cards in Canada that do bonus spend tend to bonus from a low level, say 1% on all spend, to an average level, say 2% on gas and grocery (MBNA Smart Cash). In general, it appears that category bonuses in Canada tend to be concentrated as signup bonuses when they exist, such as in the case of the American Express Simply Cash 5% on categories for 6 months or the MBNA Smart cash 3% on categories for 6 months. The Barclay Arrival Plus card is the clear winner in the US for pure return as it gives 2 points / dollar spent. When redeeming points against travel at a rate of 1 point = 1 cent against a travel charge, the cardholder gets a bonus 10% in points back, essentially yielding right around 2.2% return. There is an $89 annual fee on this card though. The Fidelity American Express card in the US earns 2 points / dollar spent on all purchases as well. Points can be redeemed for deposits into a Fidelity investment account (essentially cash) at a rate of 1 point = 1 cent. They can also be used to get even better returns when used for flights using the flight schedule. The big advantage here is that there is no annual fee. The Discover card earns 1 % in “Discover cashback” and each quarter a few categories are announced which earn 5 % cashback up to $1500 spent. This can easily bring cashback returns well above the 2% threshold if you spend money in those categories. The MBNA World Elite card is my favourite one here, though it is very similar to the BMO World Elite and the Capital One Aspire World. Each of these earn very close to 2% return with varying annual fees. The MBNA World Elite earns 2 points / dollar spent. Points can be used directly for travel purchases or can be redeemed for a cheque if the amount is high enough. The Scotia Gold Amex gives bonuses of 4% for gas, grocery and restaurant purchases. 1% for everything else. The American Express Simply cash card gives a category bonus only in the first 6 months of card membership. There is 1.25% cash back (as a statement credit at the end of the year) on all purchases. For the first 6 months, purchases of gas, grocery and restaurants get 5% but go back to 1.25% cash back after the promotional period. The benefits of having cards tend to be quite similar in Canada and the US when it comes to cashback or fixed value points cards. 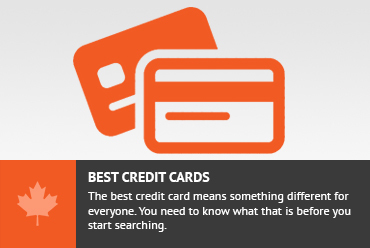 In the US, the newest benefit is that a FICO score and credit monitoring tends to be included with card membership. Foreign transaction fees are also a thing of the past and pretty much every new card worth mentioning does not charge foreign transaction fees. In many cases, a combination of low level cards helps to increase return as there may be cards that privilege spending in categories at rates better than the premium cards. A good card portfolio in the US has some premium and some low level cards. In Canada, there are no additional benefits, in general. The BMO world elite tries to market itself towards travel so it gives some lounge passes. I find, though, that the best cards in Canada tend to be fixed value points cards since they are rewarding enough. This also means that they tend to be higher level (ie Gold level) cards. The lower level cards tend to not compete with these. In Canada, it generally does not make sense to carry a low level card if you have a higher level card. For example the MBNA Smart cash is probably the best lower level card, and its highest cash back return is 2% on gas and groceries. This 2% is no better than what you should expect to get from MBNA World Elite on all purchases, so there is no benefit to carrying both. Sign Up bonuses tend to be higher in the US. My inkling is that the standard rate is about $400 in value is a signup bonus for these types of cards in the US. The Barclay Arrival signup bonus can be leveraged for $440 in travel benefits. The Capital One Spark card actually gives $500 in straight cash right now, temporarily. Pretty much every card in the US gives the first year annual fee waived. In Canada, the sign up bonuses tend to work out to closer to $150, when accounting for the annual fee. The Scotia Amex has hovered between $200 with no first year fee or $300, but you pay the annual fee. The BMO World Elite is $300 sign up bonus and the Capital One Aspire has been lowered to $100. I find that in Canada, the sign up bonuses are probably close to $150 net of the first year fee. As is the pattern here, the annual fees tend to be noticeably lower in the US than in Canada. US fees are generally in the $60 to $90 range. In Canada, the fees are probably more like $80 – $120 range. Again, in the US, I find that many people claim that they can get their fees waived by simply asking for it. In my personal experience that does ring true. Either I have been given an outright fee waiver or I have been given a promotion where I can spend a certain amount and receive a retention benefit that will be worth equal to or even in excess of the annual fee. In Canada, I have found it like pulling teeth to get a fee waiver. In my personal experience, I have had to close cards that didn’t waive the fee and only once, after explaining that I would simply reapply for a new card for the sign up bonus / first year free fee, did I get the fee waived. I would expect to get a fee waived every other year in the US. In Canada, I find getting a fee waived is a stroke of luck rather than the norm. I still ask for it every year though. In the category of fixed value and cashback cards, I believe that both the Canadian and US cards are very similar. The rates of return at the non category bonus levels tend to be pretty much the same at 2% return. The category spending tends to be better in the US. Signup bonuses and annual fees tend to be noticeably better in the US, as is the case with all types of cards. Don't subscribe All Replies to my comments Notify me of followup comments via e-mail. You can also <a href='https://www.creditwalk.ca/comment-subscriptions/?srp=4329&srk=2648578ecea05c83754707575dc5a494&sra=s&srsrc=f'>subscribe</a> without commenting.